Abners Casual Dining was founded in 1987 by Gordon Milligan on S. High St. In Columbus OH. After moving around the city a couple times we've settled in Old Hilliard since 2009. Our goal is to serve quality home favorites and comfort food like grandma did that please adults and kids alike. Ranging from a hand-cut 12oz Ribeye to French Toast to Burgers we hope to be able to please everyone. 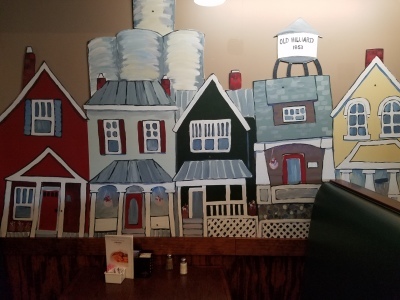 Stop in and enjoy a meal in a casual setting great for families.